I’ve heard about apple cider vinegar for a long time. I think the first time I noticed it was not because of its uses in cooking – it can be used for things like marinades, salad dressings and homemade pickles – but for its touted weight loss benefits. One study – a clinical trial of overweight Japanese adults in 2009 – looked at the effects of drinking apple cider vinegar on weight loss. When measured against people who were given a plain beverage to drink, the group that consumed the beverage to which one to two tablespoons of vinegar had been added lost two to four pounds after 12 weeks, while the comparison group lost none. Researchers think that the vinegar may activate some genes that help break down fats. It may also, according to some other studies, have a favorable effect on the rise in blood sugar after a meal. Though the effect on weight loss is small, it can’t do you any harm. And any type of vinegar will have a similar effect, experts say, but apple cider vinegar was tested because it’s the easiest to consume, taste-wise. 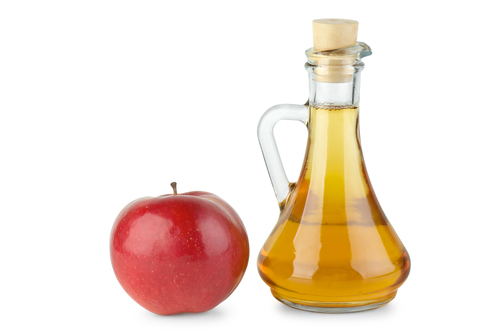 But vinegar can be highly acidic and swallowed alone, can cause harm to your esophagus and tooth enamel. Curious, I searched around the web to see what other things vinegar can be used for. After all, the use of vinegar for medicinal remedies goes back centuries to treat everything from warts to jellyfish stings. Hippocrates used it as a cure for wounds, and Cleopatra used it as a love potion. For more than 2000 years, vinegar has been used to flavor and preserve foods, heal wounds, fight infections, clean surfaces, and manage diabetes. Although vinegar is highly valued as a culinary agent, some varieties costing $100 per bottle, much scrutiny surrounds its medicinal use. Scientific investigations do not support the use of vinegar as an anti-infective agent, either topically or orally. Evidence linking vinegar use to reduced risk for hypertension and cancer is equivocal. However, many recent scientific investigations have documented that vinegar ingestion reduces the glucose response to a carbohydrate load in healthy adults and in individuals with diabetes. There is also some evidence that vinegar ingestion increases short-term satiety. Future investigations are needed to delineate the mechanism by which vinegar alters postprandial glycemia and to determine whether regular vinegar ingestion favorably influences glycemic control as indicated by reductions in hemoglobin A1c. Vinegar is widely available; it is affordable; and, as a remedy, it is appealing. 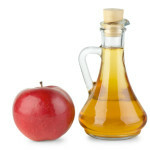 But whether vinegar is a useful adjunct therapy for individuals with diabetes or prediabetes has yet to be determined. Have you ever tried apple cider vinegar? I’m eyeing the bottle that sits in my pantry – untouched. Perhaps I’ll give it a whirl. Love multi-use products like this one. Thanks for compiling this list! Same here; it’s nice to have a product that can do so many different things so well. I’ve long been a fan of apple cider vinegar, and also a fan of Paul Bragg’s Toxic-Less Diet books, which encourage the use of ACV. It really is amazing stuff! I like to mix a tsp of honey and tsp of ACV as a nice little concoction to drink. Hmmm…I’ll have to try your concoction, Jane. Is it for anything special – like a sore throat – or do you drink it for other reasons? Good for a sore throat, but I just drink it for overall ongoing health. Never heard of apple cider vinegar before, but I’ll be checking it out. Thanks for letting us know. Let me know what you think, Ruth. The best part is that it’s nontoxic. I use apple cider vinegar all of the time! It can also help lower blood pressure and blood sugar levels. When I feel my blood pressure getting high, I take a tbs. to one cup of water and drink it down. Glad it’s working for you, Kerri! Good to know. My sister’s holistic doctor tells her to soak non-organic fruits, like apples, in apple cider vinegar for like 10 minutes before she eats them. I guess it’s to get off pesticide residue. Thanks for sharing, Rox. I’m going to try that! My father was very much into apple cider vinegar as a cure-all when I was a kid. Personally I couldn’t stomach it but he swore by it. Apple Cider Vinegar does so much for your health.